Disclaimer: I received this ARC from the publisher, Wednesday’s Books for free in return for providing an honest and unbiased review. I’m just going to put it out there YA is killing it! 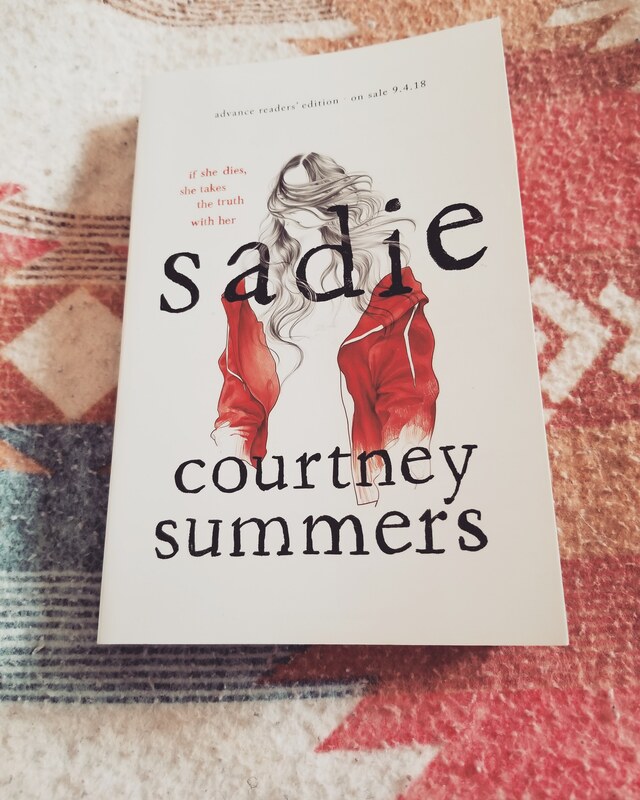 Sadie is definitely in my top 5 books read this year. The Girls explores what happens when a devastating crime reveals a deeply unsettling mystery. It’s a story about family, about sisters, and the untold lives lived in small-town America. It’s about the lengths we go to protect the ones we love . . . and the high price we pay when we can’t. This is how the novel begins. What Popped: I loved how the novel went back and forth between Sadie’s P.O.V and the Podcast. What Bombed: I really can’t say anything bombed. I didn’t particularly care for the ending. My Thoughts: I was pulled in right from the beginning and had a hard time putting it down. My plan was to read it over a couple of days, but ended up pulling an all-nighter. Afterwards I was exhausted and not from lack of sleep – although that would come later. This book takes you on a ride that you can’t get off and nor do you want to. You want need to see it through to the end. Mattie, Sadie’s 13 year old sister goes missing and is later found dead, and Sadie is not the same. May Beth Foster looks after the girls and she contacts West McCray who hosts a podcast for help in finding Sadie whose gone missing. What is revealed through West McCray’s investigative narrative and Sadie’s narrative is sad, heartbreaking, gut-wrenching and disturbing. Although Sadie is being marketed as a Young Adult novel and the protagonist is 19, I feel that the age range is more in the New Adult/Adult. I do recommend parents read and discuss this with their teens because there are some pretty weighty topics discussed.